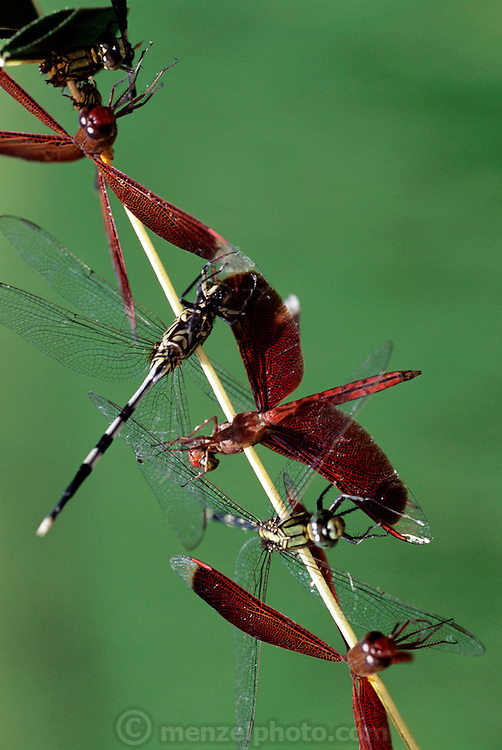 In a rice paddy near Ubud, Bali (Indonesia), dragonflies are skewered on a stick. Young children catch dragonflies with a wand made from jackfruit palm frond stem tipped with sticky jackfruit sap. Past generation of Balinese kids routinely caught dragonflies this way, then dewinged, and stir-fried them with coconut oil: a crispy protein snack. This practice has mostly disappeared due to a more prosperous population that has ready access to chicken. Image from the book project Man Eating Bugs: The Art and Science of Eating Insects.